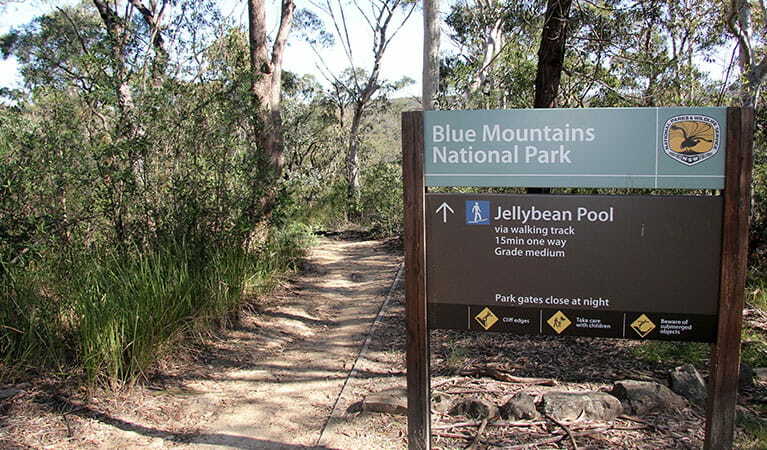 A perfect Blue Mountains day trip with the kids, Jellybean track is a short walk taking you to pretty Jellybean Pool. 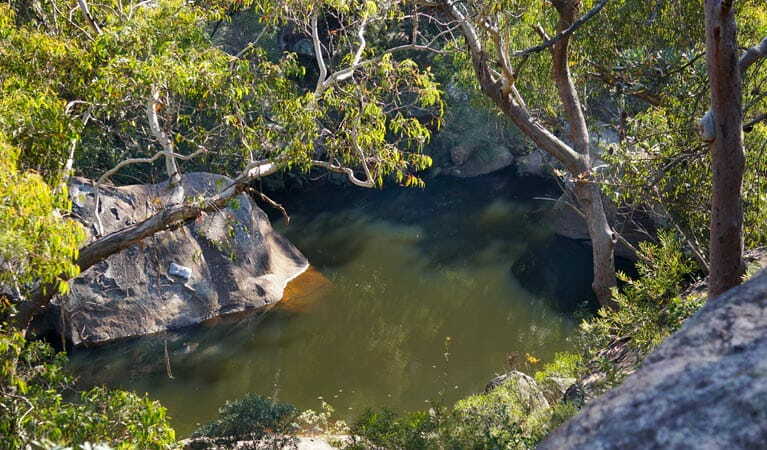 Swim or lilo the calm waters, bring a picnic or try bird watching. When it’s time to pack up the car and get out of town, Jellybean track and pool offers a great day trip for you and the kids. 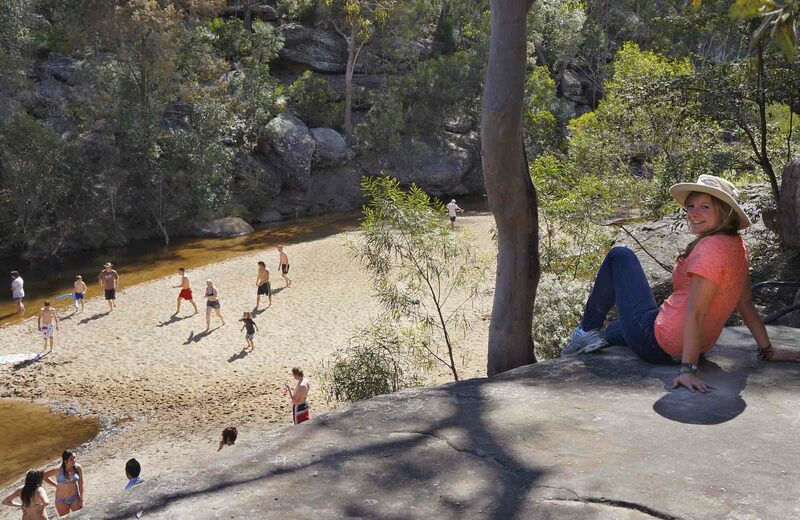 It’s a great spot to cool off on hot days and is not too far from the city either. 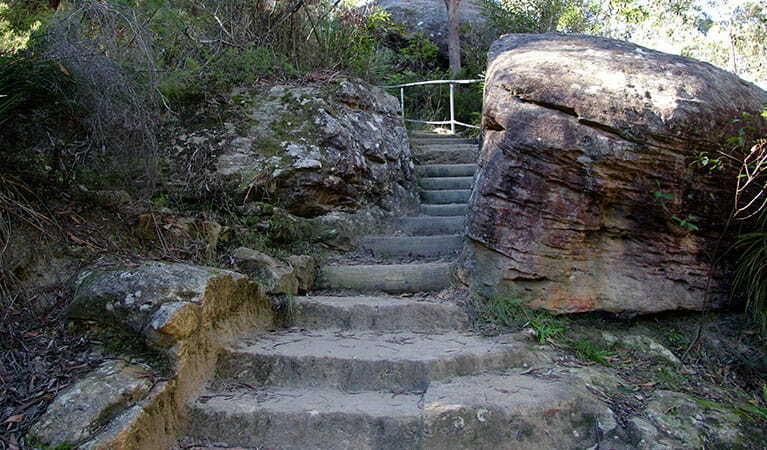 Starting at the Glenbrook entrance to Blue Mountains National Park, leave your car at the Glenbrook Information Centre and start the walk from there. 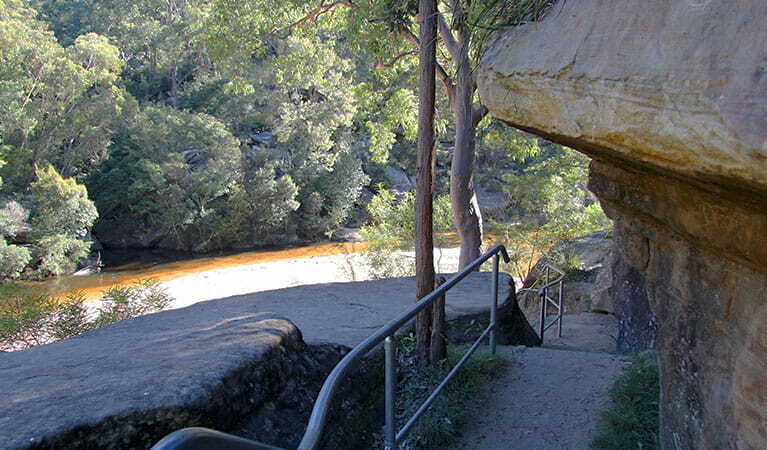 The walk follows a short track downhill to the serene Jellybean pool, flanked by sandstone cliffs. If you’ve worked up a sweat, you won’t be able to resist a dip and the kids will love swimming and liloing in these calm waters. 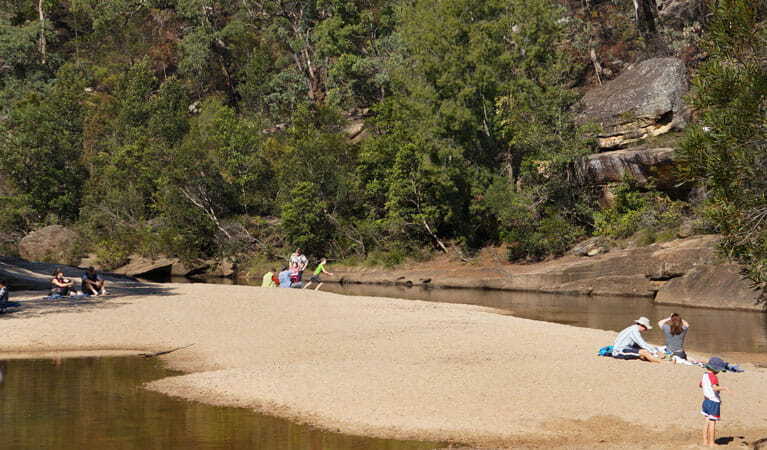 Roll out the picnic blanket on one of the sandy beaches or lie back in the shade of the gums and doze off to the sounds of the bush. 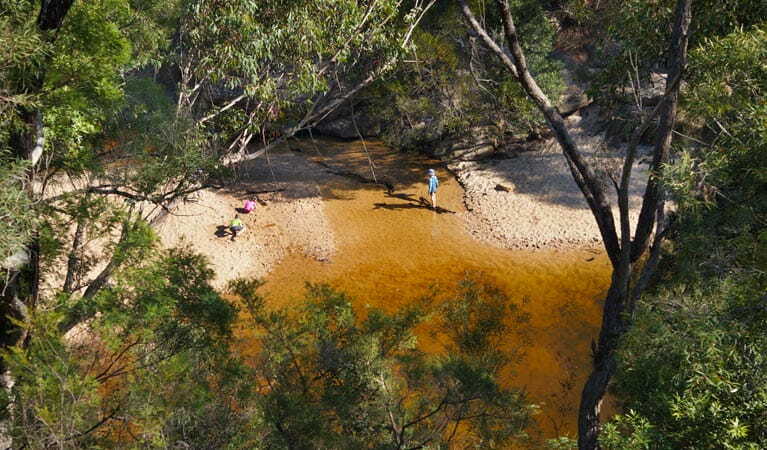 This walk takes you into the Glenbrook Gorge, passing mountain spotted gums and grass trees. Keep your eye out for kestrels and other birds of prey as they glide through the air looking for food. Watch for brilliantly coloured rainbow lorikeets or the cheeky gang gang with its distinctive call. If you're lucky, you might also spot a dazzling blue kingfisher zipping around the water. Take a virtual tour of Jellybean track captured with Google Street View Trekker. Monday to Friday , 9.30am to 4pm. From the first Sunday in October to the first Sunday in April: park gates are open 8.30am to 7pm. Rest of the year: park gates are open 8.30am to 6pm. A park entry fee of $8 per vehicle per day applies in the Glenbrook area. Contact hours: Monday to Friday , 9.30am to 4pm. Contact hours: Entry station is only open on weekends, public holidays and school holidays.